JACK WHITE Born the youngest of ten children, raised in Southwest Detroit and a resident of Nashville since 2005, Jack White is one of the most prolific and renowned artists of the past two decades. When the White Stripes started in 1997 no one, least of all Jack, ever expected that a red, white and black two-piece band would take hold in the mainstream world. The band’s self-titled debut and sophomore effort De Stijl amassed critical acclaim and built a passionate underground following, but it was the release of 2001’s White Blood Cells that thrust the White Stripes onto magazine covers as they captivated larger audiences through worldwide touring. “Fell in Love With a Girl” served as the band’s breakthrough hit and its accompanying Michel Gondry Lego clip was chosen by Pitchfork Media as the #1 music video of the 2000s. The release of Elephant in 2003 not only cemented the band’s reputation, but also offered the hit “Seven Nation Army” which has since been appropriated as arguably the most popular chant in sports stadiums around the world. In 2004, White teamed up with Loretta Lynn to produce and perform on her Van Lear Rose album, an effort that won GRAMMY Awards for Best Country Album and Best Country Collaboration With Vocals for the single “Portland, Oregon.” To date White has won twelve GRAMMYs in eight different categories with thirty-two career nominations. White formed a “new band of old friends,” the Raconteurs, in 2006. Their debut album Broken Boy Soldiers featured the #1 hit single “Steady, As She Goes” and showed a markedly different side of White, one where songwriting, vocal and guitar duties were shared. In 2009, White returned to his original instrument, the drums, and started the Dead Weather with members of the Kills, Queens of the Stone Age and the Greenhornes. Releasing two albums in two years and unleashing a dark, captivating live show upon curious audiences, The Dead Weather further cemented Jack White’s musical versatility and range. In 2015, the band released their third studio album, Dodge and Burn and garnered a “Best Music Video” Grammy nomination for the single, “I Feel Love (Every Million Miles).” Also in 2009, White opened the doors to his very own Nashville-based record label, Third Man Records, where he has since produced and released more than 300 records in just over six years. With a catalogue of releases from artists as varied as Jerry Lee Lewis, the Smoke Fairies, Wanda Jackson, Black Milk, The Dead Weather and Stephen Colbert, and unimagined vinyl configurations, the label has rightfully earned its reputation as a leader in the vinyl record industry. On April 24, 2012, White released his debut album Blunderbuss on Third Man Records/Columbia. Blunderbuss debuted at #1 on the U.S. albums chart–a career first for White–and was both the top selling vinyl album and the highest charting solo debut of 2012 in the U.S.. Blunderbuss also hit #1 in the UK, Canada and Switzerland, and received five GRAMMY nominations, including Album of the Year, Best Rock Album, Best Rock Song for “Freedom at 21,” and, the following year, Best Rock Performance and Best Music Video for “I’m Shakin’.” White released Lazaretto (Third Man Records/Columbia), the follow-up to the gold-certified Blunderbuss, on June 10, 2014. Once again debuting at #1 on the U.S. albums chart and at #1 in Canada and Denmark, Lazaretto not only broke the record for first-week vinyl album sales, selling over 40,000 copies in the U.S., it was also the biggest selling vinyl album of 2014 and any year of the SoundScan era with 86,707 copies sold in the U.S.. To date, the Lazaretto vinyl ULTRA LP has sold over 210,000 copies worldwide. The album’s title track, “Lazaretto,” won a GRAMMY Award for Best Rock Performance. Lazaretto received two additional GRAMMY nominations for Best Alternative Music Album and Best Rock Song for the title track. Dec 12 2017 Jack White Presents "Servings And Portions"
Jan 10 2018 Jack White Unveils New Single "Connected By Love"
A thought-provoking companion visual accompanies “Connected by Love,” filmed in Los Angeles and Nashville by director Pasqual Gutierrez. Watch the video now HERE. Third Man Records founder Jack White is a 12-time GRAMMY® Award-winner and 35-time nominee. His most recent full-length release, 2016’s JACK WHITE ACOUSTIC RECORDINGS: 1998-2016 (Third Man Records/Columbia), collected 26 acoustic-based songs from throughout White’s wide-ranging musical career, spanning album tracks, B-sides, remixes, alternate versions, and previously unreleased material from The White Stripes, The Raconteurs, and White’s groundbreaking solo career. The collection debuted at #1 on Billboard’s “Vinyl Albums” chart upon its September 2016 release – a position also achieved by 2012’s RIAA gold certified solo debut, BLUNDERBUSS, and 2014’s chart-topping LAZARETTO, both of which debuted at #1 on the Billboard Top 200 as well. “Connected By Love” is accompanied by a brand-new music video from director Pasqual Gutierrez – watch it now HERE. The single was greeted with rapturous global applause upon its arrival on Wednesday, with Billboard declaring the song “a classic White confessional blues burner,” and Entertainment Weekly calling it “a searing, organ-lined plea to a former flame.” NPR’s Bob Boilen wrote, “it’s a blend of old guitar blues that is simultaneously on the edge of rock’s horizon.” “The four-year wait is over,” says Rolling Stone Jack is back with the “blistering first single” from BOARDING HOUSE REACH. Tickets for the just-announced headline dates will go on sale to the general public on January 26 at 10amlocal time. Third Man Records Vault members will have access to the very first pre-sale starting on January 22 at 10am local time. Sign up for Vault Package #35 featuring the ONLY limited edition version of the album + to gain ticket pre-sale access FIRST here. Fans will also have the opportunity to purchase tickets in advance of the public on sale during the Ticketmaster Verified Fan pre-sale to ensure tickets get directly into the hands of the fans. Registration forTicketmaster Verified Fan is currently open and continues until January 19 at 11:59 PM ET. Verified Fan registration is available at http://jackwhite.tmverifiedfan.com/. For more information on all of the tour dates, visit http://jackwhiteiii.com. “Connected By Love” is accompanied by a brand-new music video from director Pasqual Gutierrez — watch it now HERE. The single was greeted with rapturous global applause upon its arrival, with Billboard declaring the song “a classic White confessional blues burner,” and Entertainment Weekly calling it “a searing, organ-lined plea to a former flame.” NPR’s Bob Boilen wrote, “it’s a blend of old guitar blues that is simultaneously on the edge of rock’s horizon.” “The four-year wait is over,” says Rolling Stone — Jack is back with the “blistering first single” from BOARDING HOUSE REACH. Jack White is set to unveil another new track from his eagerly anticipated third solo album, BOARDING HOUSE REACH (Third Man/Columbia). “Corporation” will arrive digitally worldwide on Friday, January 26 at Midnight locally (12am ET in the United States). White will support BOARDING HOUSE REACH with an extensive run of North American headline tour dates, along with shows in London, Paris, and Amsterdam. The tour – which also includes headline festival performances at Atlanta, GA’s Shaky Knees, Boston Calling 2018, New Orleans Jazz Fest, and NYC’s Governor’s Ball – begins April 19 at Detroit, MI’s Little Caesars Arena and continues through late August. Tickets for all announced headline dates will go on sale to the general public on January 26 at 10 AM local time. Every ticket purchased online for the upcoming North American headline shows will include a physical CD copy of BOARDING HOUSE REACH. Fans will also have the option to upgrade their CD to the standard black vinyl LP. White will herald BOARDING HOUSE REACH with an extensive run of North American headline tour dates, along with shows in London, Paris, and Amsterdam. The tour – which also includes headline festival performances at Atlanta, GA’s Shaky Knees, Boston Calling 2018, NYC’s Governor’s Ball, and New Orleans Jazz Fest – begins April 19 in White’s hometown of Detroit at Little Caesars Arena and continues through late August. Tickets for all announced headline dates are on sale at 10am local time today. For complete tour information, please visit jackwhiteiii.com/tour-dates. In addition, every ticket purchased online for the upcoming North American headline shows will include a physical CD copy of BOARDING HOUSE REACH. Fans will also have the option to upgrade their CD to the standard black vinyl LP. “Connected By Love” b/w “Respect Commander” is available now digitally worldwide and as a physical 7-inch vinyl single pressed at Third Man Pressing in Detroit, MI. The single is accompanied by a brand-new music video from director Pasqual Gutierrez – watch it now HERE. White and Third Man Records have also revealed details of their BOARDING HOUSE REACH-themed Vault Package #35, marking the ONLY limited edition of the new album. Vault Package #35 is highlighted by a limited edition, colored vinyl version of BOARDING HOUSE REACH that will be the only vinyl variation of the LP to be made available. Pressed at Third Man Pressing in the Cass Corridor of Detroit, the 180-gram, blue and black swirl vinyl edition features exclusive Vault-only cover art which dramatically depicts White’s stylized face and is printed on arresting holographic foil paper in the classic Stoughton tip-on style. The LP is further accompanied by a unique-to-this-package 12″ x 24″ insert featuring the complete album lyrics. Lastly, BOARDING HOUSE REACH Vault Package #35 will also include, for the third year running, a custom 2018 Third Man Records challenge coin, complete with album-specific artwork. The substantial and stylish coin doubles as a 45 adaptor and grants its holder 10% off purchases in both Third Man Records storefronts. Past Third Man Challenge coins will no longer be valid at Third Man storefronts once Vault Package #35 ships. Third Man Records founder Jack White is a 12-time GRAMMY® Award-winner and 35-time nominee. His most recent full-length release, 2016’s JACK WHITE ACOUSTIC RECORDINGS: 1998-2016 (Third Man Records/Columbia), collected 26 acoustic-based songs from throughout White’s wide-ranging musical career, spanning album tracks, B-sides, remixes, alternate versions, and previously unreleased material from The White Stripes, The Raconteurs, and White’s groundbreaking solo career. The collection debuted at #1 onBillboard‘s “Vinyl Albums” chart upon its September 2016 release – a position also achieved by 2012’s RIAA gold certified solo debut, BLUNDERBUSS, and 2014’s chart-topping LAZARETTO, both of which debuted at #1 on the Billboard Top 200 as well. Mar 01 2018 Jack White releases new single "Over and Over and Over"
Jack White will celebrate the release of his new album BOARDING HOUSE REACH with three intimate performances in Los Angeles, Brooklyn, and London. These will be the first shows featuring new songs from BOARDING HOUSE REACH, outside of two “Live First Listen” previews held at White’s own Third Man Records in Nashville this week, and will feature White’s new touring outfit: Carla Azar on drums, Quincy McCrary and Neal Evans on keys, and Dominic Davis on bass guitar. Show times, ticket availabilities, and pre-sales vary from event to event, but each present a rare opportunity for audiences to be among the first to acquaint themselves with White’s new material from BOARDING HOUSE REACH as well as reimagined songs from his catalog. Tuesday, March 20th, 7:00pm PDT / The Mayan in Los Angeles, CA: A special pre-sale for Third Man Records Vault members will take place tomorrow (Friday, March 16th) from 9am-12pm PDT. Eligible Vault members who live in the vicinity of the Los Angeles will be emailed a unique code shortly following this announcement. The general on-sale begins immediately following the pre-sale at 12pm PDT. Tickets are will call only, non-transferable, and non-refundable. Alongside this performance, Beats by Dre will host additional extra fan experiences, including a listening station where fans can hear BOARDING HOUSE REACH in advance of its official release on Beats Solo3 Wireless – Third Man Records Limited Edition Headphones. Friday, March 23rd, 8:30pm EDT / Warsaw in Brooklyn, NY: A special pre-sale for Third Man Records Vault members as well as Governor’s Ball ticket holders will take place from Monday, March 19th at 10am EDT, lasting until Tuesday, March 20th at 10pm EDT. Eligible Vault members in the New York City vicinity and Governor’s Ball ticket holders will be e-mailed unique codes following this announcement. The general on-sale begins on Wednesday, March 21st at 10am EDT. Non-refundable, non-transferable tickets will be emailed to purchasers at 12pm EDT on the day of the performance. Wednesday, March 28th, 8:00pm GMT/ The Garage in London, U.K.: A special pre-sale for Third Man Records Vault members will take place tomorrow (Friday, March 16th) from 9am-12pm GMT. Eligible Vault members who live in the greater London area will be emailed a unique code shortly following this announcement. The general on-sale begins immediately following the pre-sale at 12pm GMT. Tickets are will call only, non-transferable, and non-refundable. Mar 21 2018 Jack White releases new track "Ice Station Zebra"
Jack White has unveiled the final pre-release track from his hugely anticipated third solo album, BOARDING HOUSE REACH (Third Man/Columbia). “Ice Station Zebra” is available digitally worldwide now and was featured as Zane Lowe’s World Record on Beats 1 on Apple Music this morning. In addition, Lowe shared a clip from White’s upcoming two-part interview on “It’s Electric with Lars Ulrich,” the first part of which is set to premiere on Sunday, March 25 at 12pm PT exclusively on Beats 1. The second part of the interview will air on Sunday, April 1 at 12pm PT. Today marks the arrival of Jack White’s acclaimed third solo album, BOARDING HOUSE REACH (Third Man Records/Columbia). The 12-time GRAMMY® Award-winner’s first all-new album in nearly four years is available now physically and digitally worldwide. To commemorate the release, White has unveiled the official music video for the album’s latest single, “Over and Over and Over.” The video was directed by the acclaimed filmmaking duo, Us (a.k.a. Christopher Barrett and Luke Taylor). White is also celebrating today’s release of BOARDING HOUSE REACH with the second in a series of three intimate performances in Los Angeles, Brooklyn and London. Tonight’s show will see White and his new touring outfit – Carla Azar on drums, Quincy McCrary and Neal Evans on keys, and Dominic Davis on bass guitar – performing at Brooklyn, NY’s Warsaw. Presented by the Governors Ball Music Festival, tonight’s sold out underplay performance will be live streamed globally on Twitter exclusively via the Live Nation Streaming Concert Series beginning at 10pm ET at live.twitter.com/jackwhite. The Brooklyn show follows LA’s Mayan this past Tuesday, March 20, where “White and his exceptional band delivered a powerhouse set that turned the packed venue into a frenzied throng of one continual voice,” lauded Forbes. The final of the three-show run takes place March 28 at The Garage in London. White will embark on an extensive world tour beginning April 19 with a sold out show at Little Caesars Arena – his first-ever hometown arena show in Detroit. The tour continues through the Summer with headline dates throughout North America, the UK and Europe, including festival headlining performances at Governors Ball Music Festival, Arroyo Seco, Lollapalooza, and Rock Werchter (dates below). For tickets & complete tour information, please visit jackwhiteiii.com/tour-dates. 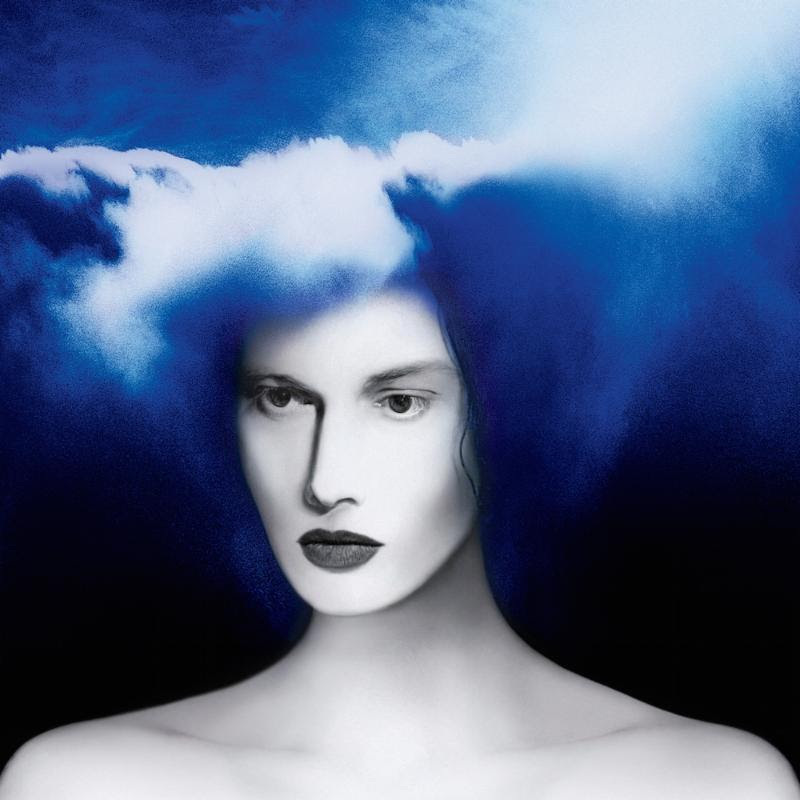 BOARDING HOUSE REACH (Third Man/Columbia), the acclaimed third solo album from Jack White, has debuted at #1 on this week’s SoundScan/Billboard 200 — his third consecutive chart-topping debut for a new solo release – and has the biggest sales week for a rock album in 2018, and second overall. The album also sits on top of the vinyl charts and is the #1 best selling rock album and alternative album. It’s the fourth-largest sales week for a vinyl album since Nielsen began tracking sales in 1991. In addition to its chart-topping achievements here in the United States, BOARDING HOUSE REACH has also debuted at #1 in Canada. The 12-time GRAMMY® Award-winner’s first all-new album in nearly four years, BOARDING HOUSE REACH is available physically and digitally now worldwide. White and his powerful new touring outfit – Carla Azar on drums, Quincy McCrary and Neal Evans on keys, and Dominic Davis on bass guitar – will celebrate BOARDING HOUSE REACH with an appearance on Saturday Night Live on April 14, and then will embark on an epic world tour. The dates begin April 19 at Detroit, MI’s sold out Little Caesar Arena – White’s first-ever hometown arena show – and then continue through the summer with headline dates across North America, the United Kingdom, and Europe. The tour also features headline festival performances at Franklin, TN’s just-announced Pilgrimage Music & Cultural Festival as well as Lollapalooza, New Orleans Jazz & Heritage Festival, Governors Ball Music Festival, Arroyo Seco Weekend, and Rock Werchter, among many others. For complete tour information, please visit jackwhiteiii.com/tour-dates. After their appearance at Nashville’s Bridgestone Arena this past Saturday, U2 stopped by Third Man Records’ Nashville headquarters to record live versions of “Love Is Bigger Than Anything In Its Way” and “Red Flag Day” from their 2017 album Songs of Experience. The recording, which was streamed live on Facebook, was made in the main storefront space, using the direct-to-acetate equipment usually reserved for Blue Room performances for the first time outside of that room. Watch their performance of “Love Is Bigger Than Anything In Its Way” HERE. May 31 2018 Jack White Shares "Over and Over and Over"
Cincinnati Mayor John Cranley welcomed Jack White with a Key to the City at the King Records building yesterday, when Jack was in Cincinnati to headine the third day of the Bunbury Music Festival. Mayor Cranley recognized White for performing at the festival and for his efforts to honor the King Records legacy. Joined by King Records legends Otis Williams, Philip Paul, and Bootsy Collins, Mayor Cranley presented Mr.White with a Key to the City highlighting his advocacy for music preservation, and more specifically his support of King Records. Jack White has announced new US headline tour dates on the BOARDING HOUSE REACH world tour for September 2018. A limited number of pre-sale tickets will be available to Third Man Records Vault members starting Tuesday, June 19th at 10am local time. Tickets go on sale to the general public at 10am local time on Friday, June 22nd. The new dates, along with all other current tour dates, can be found below. For tickets and more information, visit http://jackwhiteiii.com/tour-dates. The announcement comes after White’s recent performances of “Over and Over and Over” and “Connected By Love” on Saturday Night Live and “Ice Station Zebra” on The Late Show With Stephen Colbert, as well as his chat with Jimmy Fallon on The Tonight Show. BOARDING HOUSE REACH is out now and debuted at #1 on the Billboard 200. These new dates also follow White’s recent headline appearances at Shaky Knees Music Festival, New Orleans Jazz & Heritage Festival, Boston Calling Music Festival and Governors Ball Music Festival and Bunbury Music Festival. Jack White continues to lead the vinyl revolution according to recently released statistics from Nielsen Music. Vinyl album sales in the United States grew a remarkable 19.2 percent in the first six months of 2018, led by White’s acclaimed third solo album, BOARDING HOUSE REACH (Third Man/Columbia), which has sold more than 37,000 copies on vinyl thus far. BOARDING HOUSE REACH debuted at #1 on the Billboard 200 upon its March 2018 release -White’s third consecutive chart-topping debut for a new solo release. The album also claimed the biggest vinyl sales week of 2018 and was the fourth largest week for a vinyl album since Nielsen began tracking sales in 1991. White’s Lazaretto still holds the top spot for the largest vinyl sales week in the SoundScan era, selling over 40,000 copies in its first week. The 12-time GRAMMY® Award-winner’s first all-new album in nearly four years, BOARDING HOUSE REACH, is available physically and digitally worldwide HERE. White is currently traveling Europe as part of his BOARDING HOUSE REACH world tour, with dates currently scheduled in North America and Europe through October. For a full list of dates and tickets, please visit jackwhiteiii.com/tour-dates. Jack White has added National Baseball Hall of Fame inductee to his long list of honors and accomplishments. A special bat created for White by independent sporting goods company, Warstic, has officially been inducted into the National Baseball Hall of Fame following its use in a charity sandlot game played before the 12x GRAMMY® Award-winning artist and Warstic co-owner’s sold out concert at Cooperstown, NY’s Brewery Ommegang. Played at a muddy field just outside Cooperstown, the game – which saw White’s Warstic Woodmen taking on the local Leatherstocking All Stars – was attended by President of the National Baseball Hall of Fame and Museum Jeff Idelson, who then personally requested that White’s game-used bat be inducted into the Baseball Hall of Fame. To commemorate this milestone event, Warstic created 50 limited edition Vintage Model 3 replicas matching the unique specs of White’s Hall of Fame bat, each individually numbered and signed by the artist himself. The Special Edition bats were then auctioned online, with total proceeds exceeding $32,000. A portion of each bat purchase will be donated to Well For Culture, an initiative within the Native Wellness Institute which seeks to teach and promote healthy lifestyle practices, ancestral eating, Indigenized fitness, and mental-spiritual connectedness. In addition, a portion of the proceeds will go to support sponsorship of Native American youth participation in baseball. With the costs associated with baseball – including training and travel -consistently on the rise, one of Warstic’s primary missions from the start has been to sponsor individual Native youth who would not otherwise be able to meet the fee requirements of their league and team. For more, please see warstic.com/pages/our-causes. Modeled after the Jack White Baseball Hall of Fame bat, the Vintage Model 3 is the second in Warstic’s “Artist Series” collection. Only 51 were produced – White’s game used Hall of Fame bat is unnumbered. Photos and complete details can be found now at warstic.com/blogs/news/jack-white-limited-edition-hall-of-fame-bat. BOARDING HOUSE REACH (Third Man/Columbia), White’s acclaimed third solo album, made a momentous debut at #1 on the SoundScan/Billboard 200 upon its April 2018 release – his third consecutive chart-topping debut for a new solo release. The 12-time GRAMMY® Award-winner’s first all-new album in nearly four years, BOARDING HOUSE REACH is available physically and digitally worldwide HERE. White is currently traveling Europe as part of an epic world headline tour, with dates currently scheduled in Europe and North America through mid-September. For complete details, please visit jackwhiteiii.com/tour-dates. Founded in 2011 by Ben Jenkins and co-owned by Jack White and Los Angeles Angels second baseman and four-time baseball All-Star Ian Kinsler, Warstic designs Pro Grade wood and metal bats, gear and lifestyle apparel for baseball and softball players of any age who appreciate not only quality craftsmanship but unique design. Warstic offers American Ash, Maple, and Birch wood and metal bats, each uniquely emblazoned with the trademark Warstripe emblem branded into every bat. With a bold but minimal approach to performance design, they are turning the heads of baseball All- Stars and MVPs alike who are looking for not just top performance, but also a new aesthetic that stands apart from the norm. The Native Wellness Institute (NWI) was founded in 2000 by a knowledgeable and dedicated group of Native individuals, including tribal leaders, committed to making a positive difference in Indian country. A 501 (C) 3 non-profit organization, NWI serves as the leading provider of Native-specific and wellness-related training and technical assistance (strategic planning, program design and curriculum development) to Native people, communities, tribes and organizations throughout North America. For more, please see www.nativewellness.com. 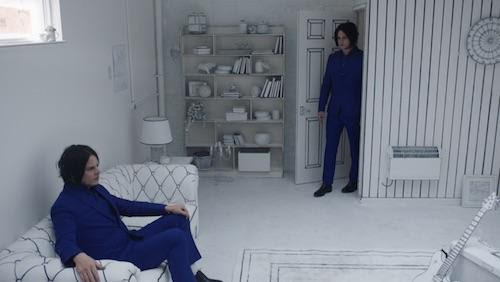 Jack White has announced today’s premiere of “Corporation,” a new companion video for one of the undisputed highlight tracks on his acclaimed third solo album, BOARDING HOUSE REACH (Third Man/Columbia). Directed by Jodeb (Imagine Dragons, Underoath), “Corporation” can be viewed now exclusively via global music streaming and entertainment platform, TIDAL. Non-members are eligible for a free 90-day trial of the service on TIDAL.com/JackWhite. Sprint customers with the new Unlimited Plus plan can simply download the TIDAL app and it’s free for the duration of their Unlimited Plus subscription, no credit card required. Recently announced as 2018’s biggest selling vinyl album release thus far, BOARDING HOUSE REACH made a momentous debut at #1 on the SoundScan/Billboard 200 upon its March 2018 release – his third consecutive chart-topping debut for a new Jack White solo release. The 12-time GRAMMY® Award-winner’s first all-new album in nearly four years, BOARDING HOUSE REACH is available physically and digitally worldwide HERE. White and Third Man Records recently unveiled details of VAULT PACKAGE #37: JACK WHITE LIVE IN NASHVILLE/LIVE IN DETROIT, showcasing the momentous tour-de-force live sets performed earlier this year at intimate venues in Nashville and Detroit heralding the release of BOARDING HOUSE REACH. Packaged in a die-cut sleeve with peep-in artwork and pressed on lustrous black, beautiful blue and wonderful white vinyl, the three LP set is accompanied by a selection of three glossy, 8 x 10, photos from both performances, shot by White’s personal photographer, David Swanson. To top it all off, VAULT PACKAGE #37: JACK WHITE LIVE IN NASHVILLE/LIVE IN DETROIT includes a magnificent Jack White logo flag designed to be flown high and proud at Jack White concerts the world over. Vault subscriptions are open through July 31st via Third Man Records HERE. Jack White previously partnered with TIDAL for a series of global BOARDING HOUSE REACH listening events earlier this year. The TIDAL artist owner also partnered with TIDAL for a livestream of his 2015 acoustic show in Fargo, North Dakota, as well as a premiere of The Dead Weather’s critically acclaimed album, DODGE AND BURN. White is in the midst of his BOARDING HOUSE REACH world tour, with dates currently scheduled in North America and Europe through October. For a full list of dates and tickets, please visitjackwhiteiii.com/tour-dates. Jack White’s cinematic new video for “Corporation” is out now on YouTube. Watch the Jodeb-directed video for the standout BOARDING HOUSE REACH (Third Man/Columbia) track HERE. White is currently in the midst of the BOARDING HOUSE REACH world tour, with dates currently scheduled in North America and Europe through October. For a full list of dates, tickets and more information, visithttp://jackwhiteiii.com/tour-dates/. Recently announced as 2018’s biggest selling vinyl album thus far in the US, BOARDING HOUSE REACHdebuted at #1 in both the US & Canada upon its March 2018 release = White’s third consecutive chart-topping debut for a new solo release. The 12-time GRAMMY® Award-winner’s first all-new album in nearly four years, BOARDING HOUSE REACH is available physically and digitally worldwide HERE. Jack White made a special visit to the Tesla factory in Fremont, CA, earlier today, surprising the Tesla team with a free concert which was broadcast to employees around the world. Prior to the concert, White toured the innovative manufacturing plant and enjoyed a test ride in Tesla’s new Model 3 Performance at the factory’s test track. Watch a clip of White’s visit to Tesla HERE. Jack White’s new concert film, JACK WHITE: KNEELING AT THE ANTHEM D.C., is out today worldwide exclusively via Amazon Prime Video, and can be viewed HERE. Directed by Emmett Malloy and filmed at White’s second sold out night at The Anthem in Washington, D.C., the film is accompanied by a six-song Amazon Original live EP with highlights from the evening, which is also available today only on Amazon Music. Watch a clip from the film featuring White and his band performing “Connected By Love” HERE. JACK WHITE: KNEELING AT THE ANTHEM D.C. gives fans a front row seat to White’s career-spanning set at his May 30th BOARDING HOUSE REACH tour stop in Washington, D.C.. Director Emmett Malloy, longtime collaborator and director of The White Stripes’ 2009 documentary UNDER GREAT WHITE NORTHERN LIGHTS, also joins White as he explores the nation’s capital and gives a surprise performance for students at Woodrow Wilson High School. In addition to the JACK WHITE: KNEELING AT THE ANTHEM D.C. live EP, Amazon Music listeners can access Jack White’s catalog, as well as hundreds of Amazon Original songs and numerous albums featuring both emerging and established artists across all genres, also available to stream and purchase. Jack White’s acclaimed third solo album, BOARDING HOUSE REACH (Third Man Records/Columbia), is available physically and digitally worldwide HERE. BOARDING HOUSE REACH debuted at #1 on the Billboard 200 upon its March 2018 release – White’s third consecutive chart-topping debut for a new solo release. White continues his BOARDING HOUSE REACH world tour with dates through the end of the year in the UK, Europe and Canada. For a complete list of dates, tickets, and more information, visit jackwhiteiii.com/tour-dates. Jack White has announced a show at Nashville’s Bridgestone Arena on November 20, 2018 as a makeup show for Pilgrimage Music & Cultural Festival’s recent cancellation, ending the BOARDING HOUSE REACH world tour with a special hometown performance. The show will feature support from very special guests Margo Price and Joshua Hedley, rounding out the Third Man-centric bill. Jack White’s acclaimed third solo album, BOARDING HOUSE REACH (Third Man Records/Columbia), is available physically and digitally worldwide HERE. BOARDING HOUSE REACH debuted at #1 on the Billboard 200 upon its March 2018 release — White’s third consecutive chart-topping debut for a new solo release. White is currently on tour in Europe and the UK through October and then heads to Canada in November before concluding the BOARDING HOUSE REACH world tour with the newly announced hometown Nashville show on November 20. For a complete list of dates, tickets, and more information, visit jackwhiteiii.com/tour-dates. Jack White has announced intimate shows at Brooklyn’s Kings Theatre on Saturday, November 17 and Chicago’s Aragon Ballroom on Monday, November 19. These dates come shortly before his tour finale at Nashville’s Bridgestone Arena on November 20. A limited amount of pre-sale tickets will be available to Third Man Vault members starting Thursday, October 11th at 10am local time. Tickets go on sale to the public on Friday, October 12th at 11 AM local time. The Raconteurs – Jack White, Brendan Benson, Jack Lawrence & Patrick Keeler – are back with the release of their first new music in more than 10 years. The two new songs released by Third Man Records, “Now That You’re Gone” featuring Brendan Benson on lead vocals and “Sunday Driver” with Jack White singing lead, areavailable digitally worldwide today. This release coincides with the delivery of the only physical version of the tracks available on 7″ vinyl as part of Third Man’s Vault Package #38 celebrating the 10th Anniversary of the bands’ acclaimed second album, CONSOLERS OF THE LONELY. Recorded and released in March 2008, the unannounced arrival of The Raconteurs’ CONSOLERS OF THE LONELY shocked the world at a time when coordinating a worldwide physical and digital surprise release was even less easily accomplished than it is today. The album – which takes its title from an inscription on the frieze of a Washington D.C. post office – proved a phenomenon, making a top 5 debut on the Billboard 200 on its way to earning the GRAMMY® Award for “Best Engineered Non-Classical Album,” as well as a nomination as “Best Rock Album.” Indeed, CONSOLERS OF THE LONELY finds the Raconteurs at their mightiest, exploring what it means to be a rock band in the classic sense. Full-on bombastic horn arrangements and gut-wrenching murder ballads sit side by side as the swaggering riffs and confident licks firmly establish the LP as one of the pre-eminent releases of the aughts. An acclaimed photographer, filmmaker, and inventor who is redefining artistic visual media, Steven Sebring developed the Sebring Revolution System- a unique motion capture system, to pioneer multi-dimensional photography, film, and XR. Sebring creates evocative true photographic imagery without the use of CGI, placing him at the forefront of progressive image-making for the digital age. Dikayl Rimmasch is a film-maker and photographer. As such he has worked for Double RL Ralph Lauren, Air Jordan, Adele, Beyoncé, Jay Z, Lenny Kravitz, Vidal Sassoon, Big Bang, El Michels Affair, Blondie, Harley Davidson, and Lines Ballet. As a contributing director on LEMONADE he won an MTV Best Director Award for long form, as well as a Peabody Award.